The iconic building, which gained its name from the state of New York, the Empire State, was the world’s tallest building for 40 years, following its construction in 1930. The art deco style building was constructed in 15 months, ahead of schedule and under budget, with a final construction cost of just under $25 million. One of the Empire State Building’s most famous features is the tower lighting. The lights are so popular that the building has a detailed lighting schedule available for review months in advance. 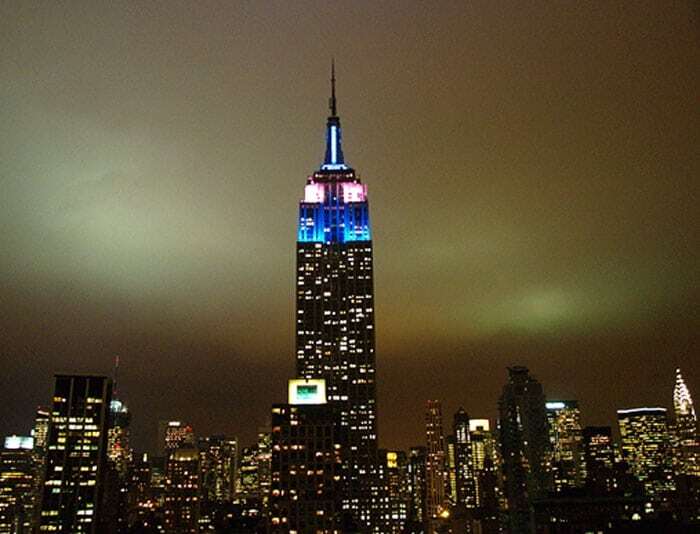 By displaying a seemingly endless variety of light colors, the Empire State Building celebrates the country and the world’s many cultures, causes, events, and milestones. 1930 – Excavation of the future site of the Empire State Building begins in January and construction is completed in November. 1931 – President Hoover officially opens the building on May 1st.